You may know a great deal about Facebook marketing, or you may be an expert on ecommerce marketing for Twitter, but in the case of Instagram, that kind of social cred doesn’t mean squat. Instagram is nothing like most other social networks. A whopping 70% of its 300 million monthly users reside outside of the United States, and most of them fall between the ages of 16 and 24. If this is your target demographic, grab a cup of Joe and get comfortable because you are about to learn everything you need to get started on this mobile-intensive social network. If you are targeting a mobile audience of international guys and gals in their late teens to early thirties, you are in the right place. Instagram is about as popular with men as it is with women (although it was previously more female focused), and users are very likely to access the network from a mobile app. Things move quickly, and the social audience can be somewhat unforgiving, so your mission (should you choose to accept it) is to learn everything you possibly can about smart Instagram marketing before you create an account and post your first image. 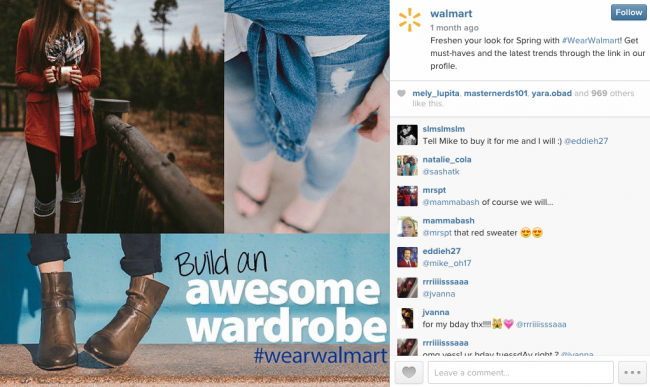 Why is Instagram marketing important for online retailers? 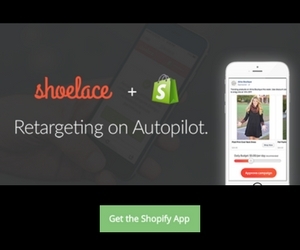 How to start with Instagram marketing for your online store? On its website, Instagram describes itself as a “fun and quirky way to share your life with your friends through a series of pictures.” In a nutshell, that also describes why people use this social network. Instagram makes it easy to share images with friends and get feedback in real time. Like Facebook and Twitter, Instagram is a social network, but its demographic is drastically different than most social sites. In all honesty, Instagram may be the best marketing outlet for your business or it may be a waste of time. 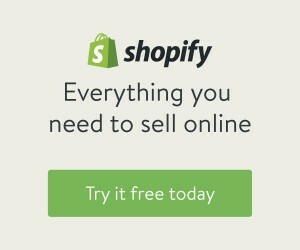 I wouldn’t say it’s important for all online retailers, but when it works, it really works. If your demographic includes young men and women and your product or service lends itself to a visual strategy (and most do), Instagram cannot be ignored. Let’s review some of the stats to see why this network is so important for many businesses. How to succeed in Instagram marketing for ecommerce? Although Instagram is different from other social networks in many ways, the basic principles of getting a successful start still apply. Before you start posting, pay attention to what users (especially those in your target demographic) are reacting to. Pay attention to what other brands are posting. Look at what is successful and what flops. This should give you an idea of what may work for your brand. Staff – Social networking, when it’s done right, takes a great deal of time. If you’re like most entrepreneurs, time is not something you have in spades. So, instead of giving a half-hearted effort, decide which part of the process can be outsourced and make it happen. Maybe you want to be involved in the strategy and review phases, but you can leave the social monitoring, posting and reporting up to someone else. It’s all about your comfort level, but just know that most entrepreneurs cannot successfully focus on all elements of an Instagram marketing campaign while running a business. Be prepared to trust someone else with some of the responsibility. 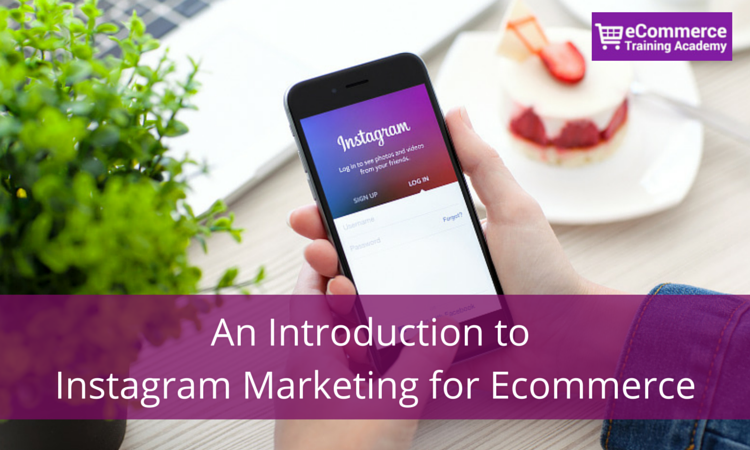 Money – Depending on your strategy and level of involvement, you may not need to invest much to get started with Instagram marketing for ecommerce. To create a budget, think about who you will need to hire and whether any images will need to be taken by a professional photographer. In most cases, a quick iPhone or Android shot will work just fine. It’s more about authenticity and personality than it is about being corporate. Software – As you get to know Instagram better, you will be happy to know that some parts of posting can be automated. 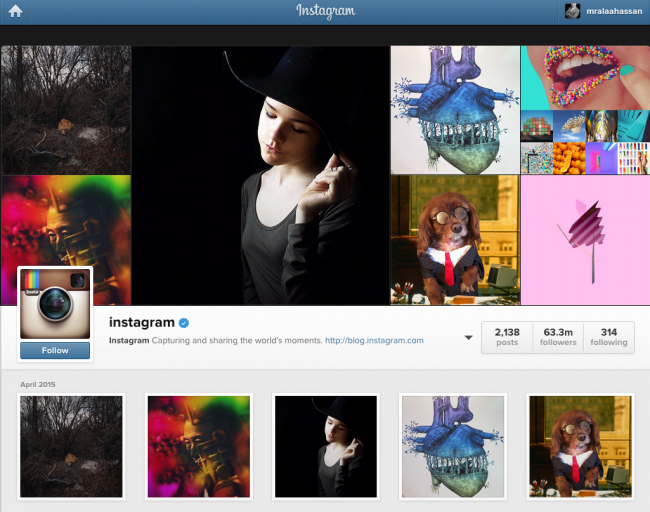 Apps like Instatag can help you find the right tags to boost followers and likes. Instafollow is great for finding relevant users to follow, and Pic Effect Studio adds more of a creative flair for your images than the standard Instagram filters. We’ve created a list of Instagram Tools you can try today. Creativity – Brands need to be extra creative on Instagram for a number of reasons, and this creativity is not just limited to finding the right images to post. Your entire strategy should be tackled with a creative mind. Maybe you create a contest for users to upload and tag images, or maybe you create somewhat of a game surrounding your brand images (finding an element in the photo or something similar). Regardless of what you decide, you must know that posting images of your products or staff is not going to be enough. You need to get your head outside of the box and come up with posts worthy of sharing. If you aren’t convinced yet, hang tight. You’re about to see how other businesses are benefiting from having a presence on Instagram. Don’t get left behind. With 20% of internet users on Instagram, there is a great opportunity to introduce your brand to many people who aren’t familiar with it yet. 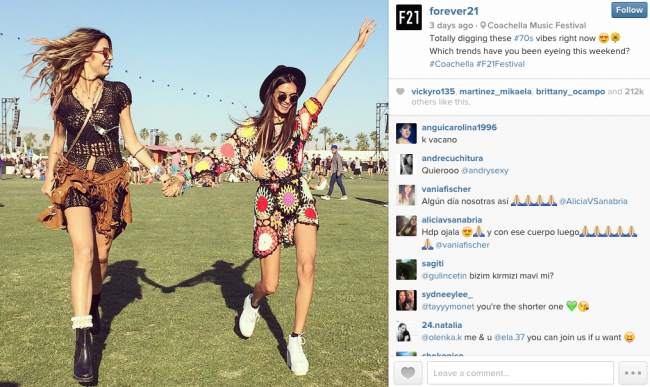 Just like with any other social channel, you can benefit from receiving feedback on Instagram. It may be through a complaint or opinions on new product ideas. Listen and your customers will tell you what they think. Instagram is a great outlet for your brand to express its personality, visually and through captions and comments. With increased brand awareness comes increased sales. The more people exposed to your brand, the greater your likelihood of making a sale. Maybe your current clientele is aging and you’re looking for some fresh blood. There is no better place to find those youngin’s than on Instagram. Instagram can be a valuable tool to help you reach more of your target audience than you ever thought imaginable. But it can’t be everything to everyone. Here are three disadvantages to Instagram marketing that you should consider before you get started. Instagram is designed for Android and Apple smartphones, and although those make up the majority of the market, it may end up excluding a small portion of your audience. Once you upload an image, it is out of your hands. If you are a photographer or spent a great deal of money on a photograph, you may want to add a watermark. Just know that this could inhibit sharing, if only a little. Your grandma may be on Facebook, but chances are good that she isn’t on Instagram. Instagram is amazing if you are trying to reach a young demographic, but if your audience consists of Baby Boomers, you may not want to waste your time with Instagram. Before you start posting on Instagram, you need a strategy. Start by setting some general goals. What do you really want to accomplish from your presence on this network? Check the top five advantages above for some ideas. Once you fully understand your main goal, drill a little deeper and set some specific objectives. If your goal is to increase brand awareness, how will you know when you have achieved this? Does it translate to a certain number of followers, likes and comments? If so, define this number along with a time frame to achieve it in your strategy. You may fall short, and that’s okay, but it’s better to have goals to strive for than to be unsure whether you are wasting your time. 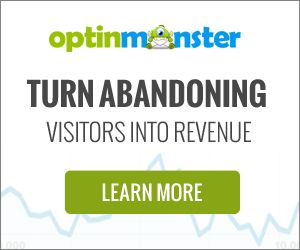 You probably already know your customer pretty well, right? You should know her age, geographic region and other interests. Find this person on Instagram, and find out what she and others like her are doing. Next, figure out what kind of images you will post. For example, your brand may have three types of updates: Product, people (staff) and customers (ideally, using your products). Feel free to get creative and expand upon these types or choose post types that are a better fit for your brand. Then, determine how often you will post. This doesn’t have to be set in stone, but you should have a minimum number of posts per week or day. This way, your account won’t become stale. It’ll also help when it comes to scheduling posts in advance. In order to determine whether you are meeting your goals and objectives, you will need a way to measure performance. How many likes, visits and comments are your posts getting? Which types of posts are the most popular. How many followers do you have? Is that number growing or shrinking? Here are some apps that I have found helpful for monitoring Instagram performance. Although you don’t want to get too hung up on this, you do want to know what your competitors are doing on Instagram. And if your main competitors aren’t on Instagram, don’t take that as a sign that you shouldn’t be there either. Think of all the untapped potential. Whether or not you can look at direct competitors, you can also draw inspiration from the top 500 retailers on Instagram. Browse through the list and see which companies seem most like yours in terms of branding and follow them on Instagram. You may find some creative, out of the box ideas that you can use for your own industry. Are you sold on Instagram yet? It really is a great marketing medium for many retailers, and the landscape is not as competitive as it is for some other networks. Small businesses especially tend to avoid Instagram because it does require creative thought. And many small business owners feel like they don’t have the time. 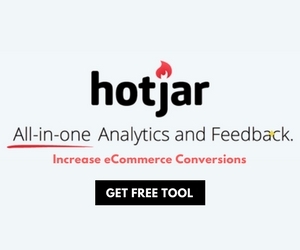 But with the right strategy and some serious out-of-the-box thinking, you can excel at Instagram marketing for ecommerce. If you still need a little more convincing, start by reviewing the accounts of major retailers in your space. 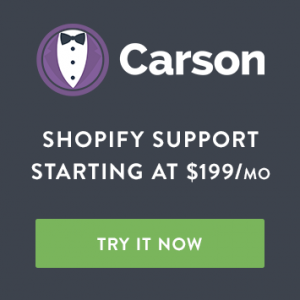 This should give you a blueprint of sorts, or at least some social proof that Instagram can work for online retailers like you. Once you feel inspired, it’s time to jump into a strategy for increasing brand awareness and boosting online sales! 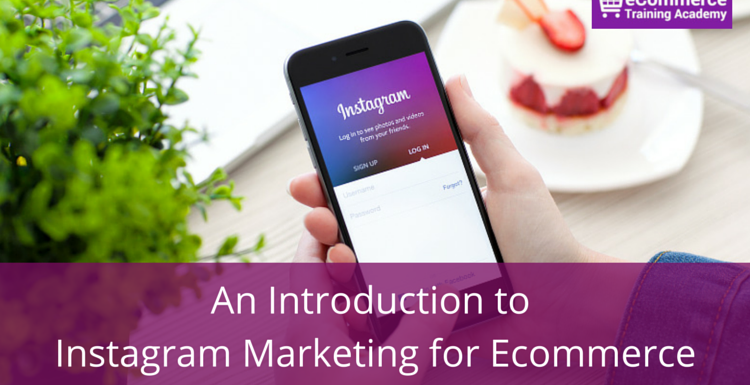 Want to learn more about Instagram marketing? In this post, we covered everything you need to know before you get started. Our webinars take a deeper look at strategies and techniques to truly find success on this social network. You are most welcome! Glad to hear it! 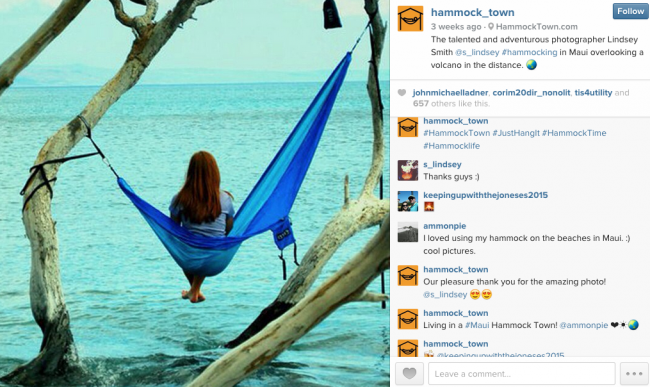 Thanks for featuring Hammock Town Alaa! 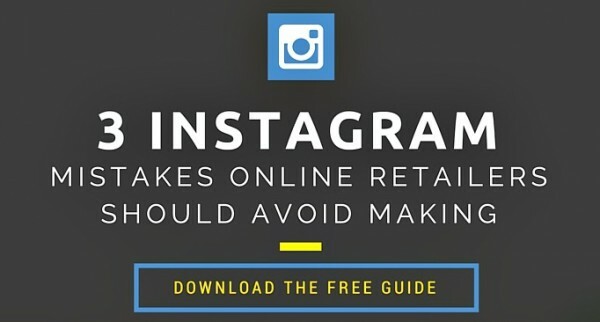 Great resource for those starting eCommerce Instagram accounts! Hey! I wish to explore my creativity business on Instagram. I have almost done all the plannings and ready to go! But How would I attract my customers towards my page? Like I want to know how introduction to my page should have to look like?